The audio amplifier shown below provides 14 watts of power, but can provide much more simply by increasing the power supply voltage. This amp was built in 1975 and has worked reliably ever since. 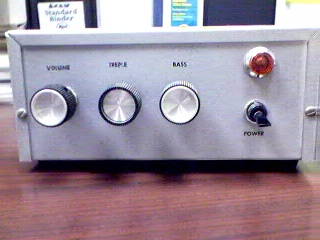 The power amp portion was published in Popular Electronics in the mid-1975s. I added a preamp and bass and treble controls. This amp has extremely low distortion and is relatively insensitive to the choice of components. The power amplifier is actually a discrete power op-amp. As such the gain is set by R18/R23. 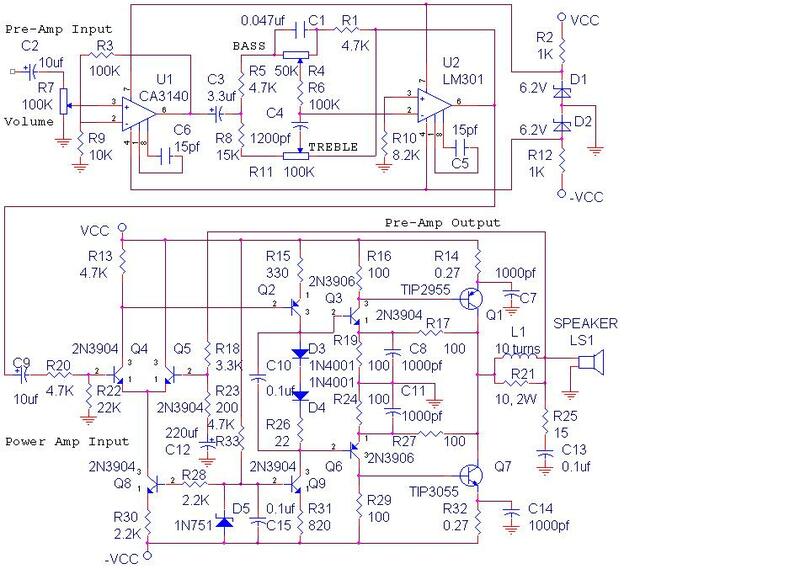 The pre-amp has a voltage gain of 10, for an overall gain of approximately 150. I recommend non-polarized capacitors for C2 and C9, even though the schematic shows that I have used polarized capacitors. Modern op-amps,with the same pin-out as the op-amps shown in the schematic, can be used in the pre-amp portion. The available output power is limited by the power supply. Up to 70 watts output has been achieved with this topology, however parallel output transistors should be used to insure against damage, at higher power levels. 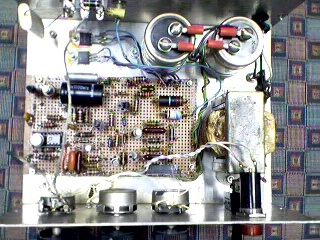 20 watt amplifier using the Philips TDA1554 IC. Mini power amplifier using National Semiconductor IC.